Vacation home Provence near Avignon – Tucked away in the very heart of Provence, Les Jonquilles is a small, charming vacation villa with a beautiful mature garden and pool, and lovely views over the surrounding countryside and Les Alpilles hills. Luberon park holiday cottage in Provence - nestled in the heart of the Luberon National Park, Cottage Origan is part of a select hamlet of four charming properties, known collectively as Les Herbes de Provence, within walking distance of the idyllic village of Joucas, and just 3 miles from the famous hilltop village of Gordes. Provence family country cottage for rent - This charming period cottage, nestled in the heart of Provence near Gordes, boasts magnificent views of the surrounding hills and countryside and offers wonderful opportunities for bike rides and walks in the Luberon region. Provence villa walking distance to village - this is a beautiful stone built Mas dating from the 17th century, fully restored to a high standard and retaining much of its original character. The typical Provence style with flagstone floors in some of the rooms creates a cool and airy ambience. Les Fontaines is a wonderful, 18th century Provence France Mas, lovingly restored to the highest standards and set in a walled garden on the edge of the bustling village of Pernes les Fontaines. Set over three floors, this spacious Provence France villa is decorated in pale, neutral colours with cool stone and terracotta floors and is sympathetically furnished with antiques. 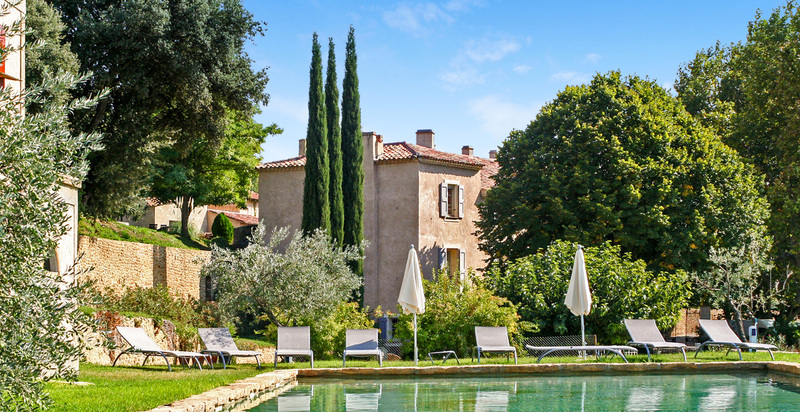 A very elegant French villa located right in the heart of a picturesque Provencal village in the Luberon National Park, Maison des Lierres offers a delightful walled garden with lawn, private pool and sheltered dining terrace. An 18thcentury Château in Provence, offering the indulgent comforts of the finest luxury hotel coupled with the tender charm of a family home, welcomes guests into a private world of slow luxury. Château de Bonheur is a wonderful Mansion and Luxury restored Farmhouse that can be rented as an entire estate or just the main Chateau. 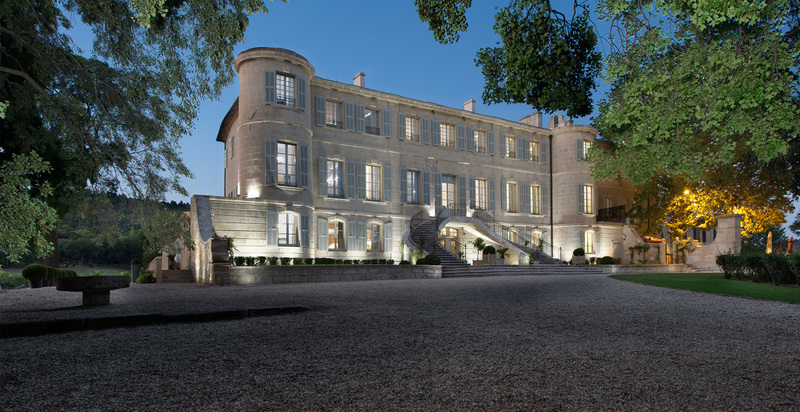 Le Bourg Château Bagnols is the finest five-star deluxe château hotel in France and is regarded by many as the finest vineyard Château hotel in the world. Discovered by Lady Hamlyn in 1987 in a derelict state, she painstakingly restored the château with much energy and vision, to its former glory, revealing Renaissance wall and ceiling paintings created during the château's finest period when nearby Lyon was one of Europe's great Renaissance cities.